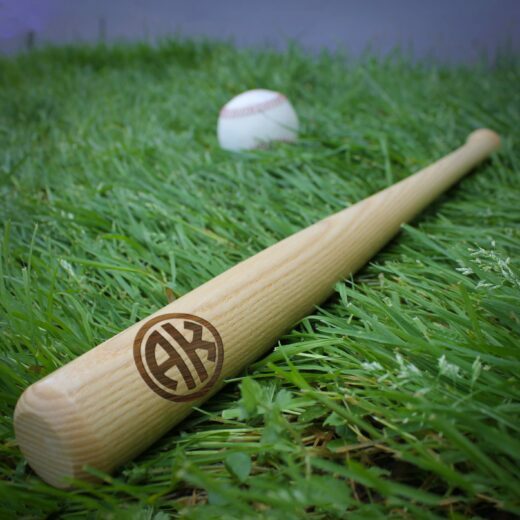 Celebrate your Fathers Day, or Coach, with a personalized Mini Bat. 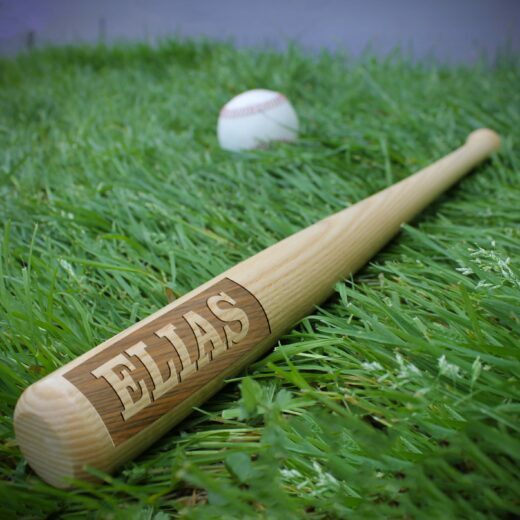 Our personalized Mini Baseball Bats are made in the USA. 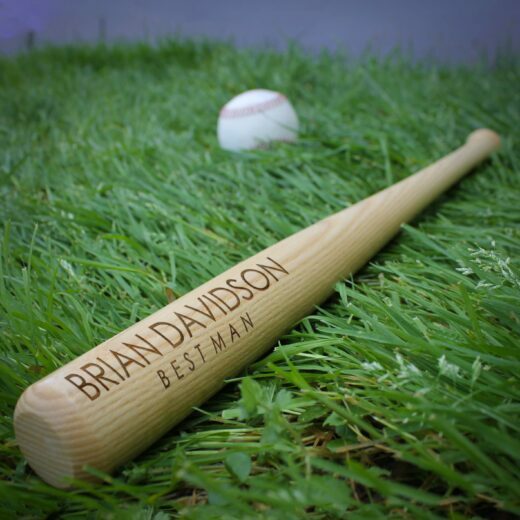 These 18″ inch Mini Bats make the perfect gift for Dads, Coaches, Groomsmen, a Best Man, Ring Bearers, teams, or trophies. 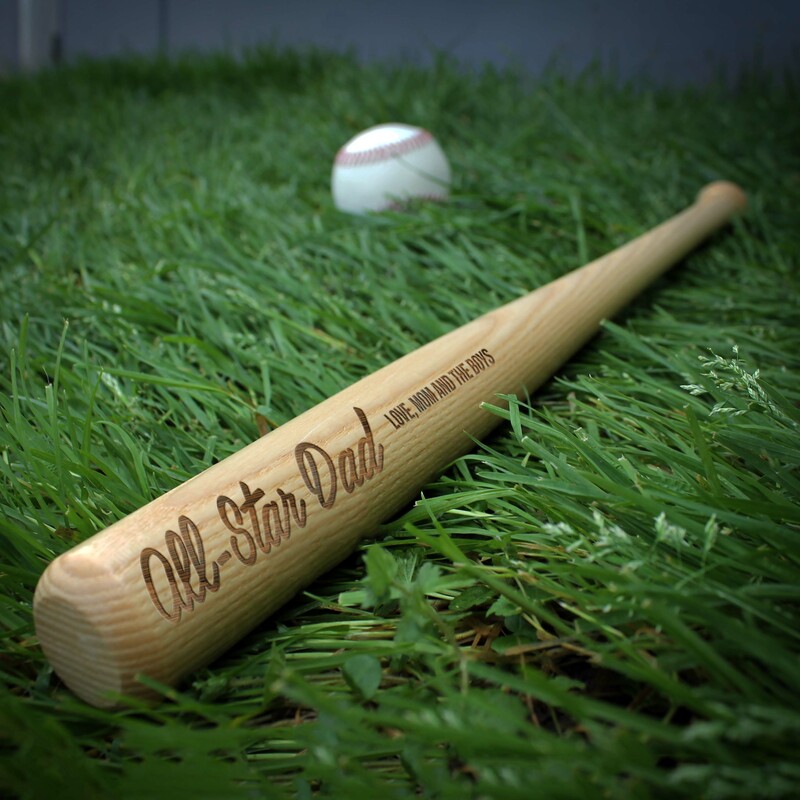 Each bat is hand turned, clear varnished, and professionally laser engraved in the USA. Laser engraving creates a lasting impression that will not fade or wear. 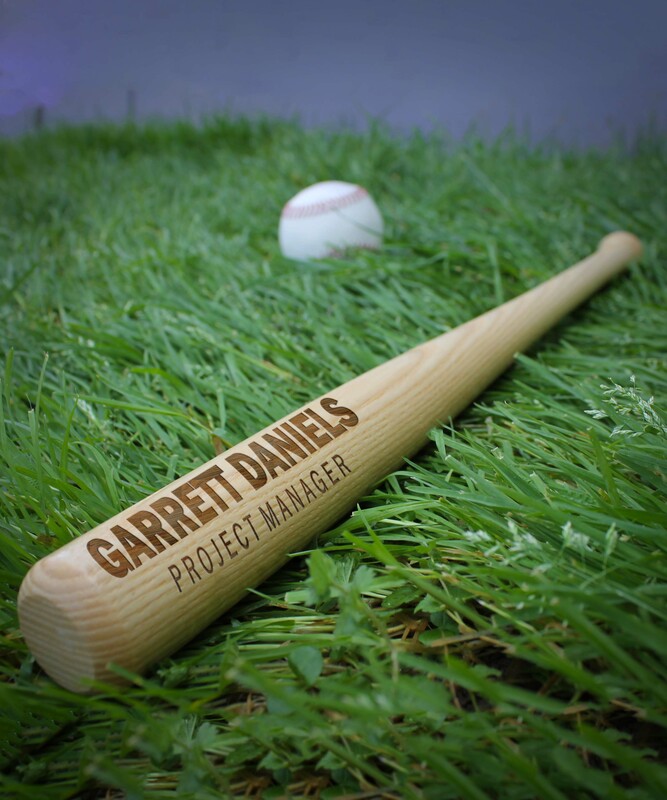 Feel free to request custom logos or designs.